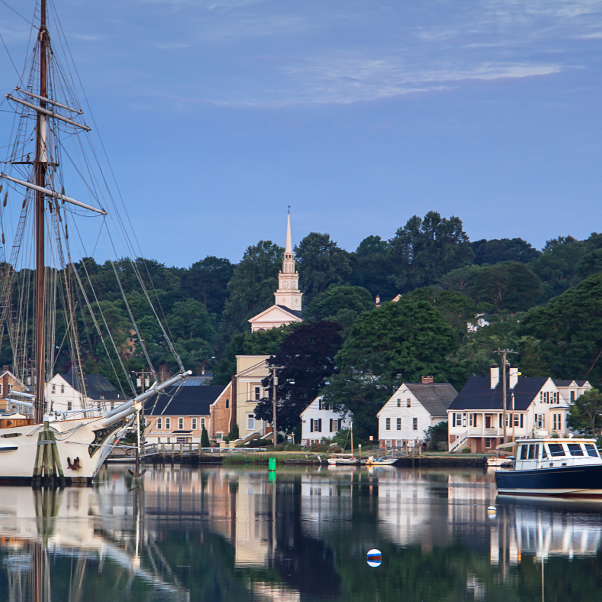 Don't miss the opportunity to explore this small town that is steeped in shipbuilding history. 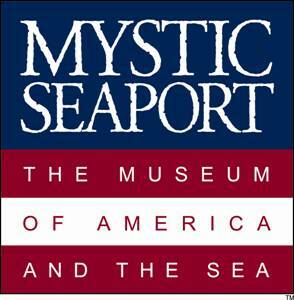 Mystic Seaport is the nation's leading maritime museum. 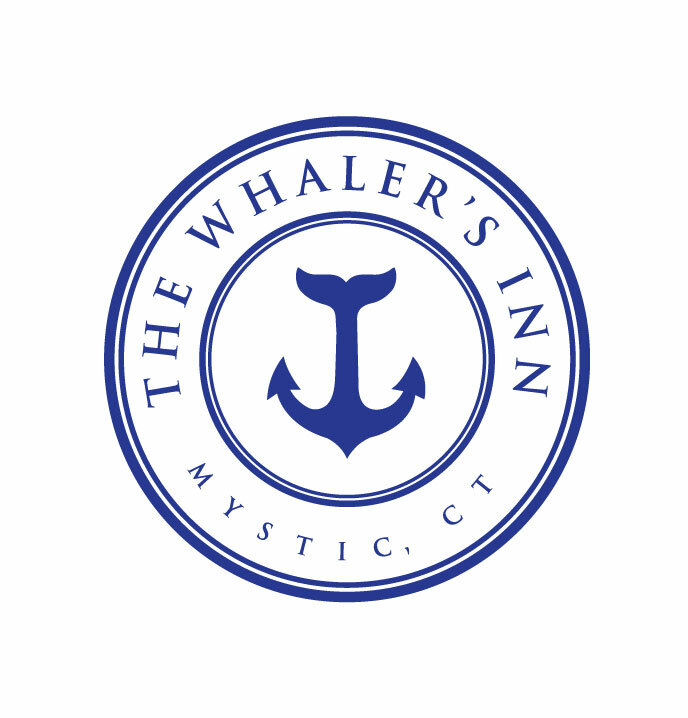 Its collections and exhibits include over 500 historic watercraft, a major research library, a large gallery of maritime art, a unique diorama displaying the town of Mystic as it was in the 19th century, a ship restoration shipyard, the Treworgy Planetarium, and a re-creation of a 19th-century seafaring village. 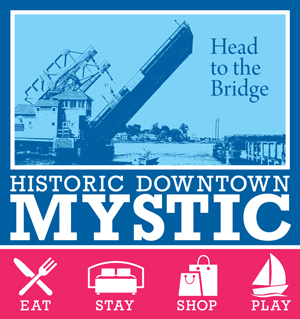 There are abundant shops and restaurants in downtown Mystic including the famous Mystic Pizza (from the movie of the same name) and Mystic Drawbridge Ice Cream. 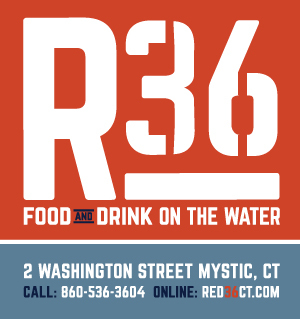 You will also want to visit the Mystic Aquarium where you can actually pet the sharks...the perfect conclusion to your Sharkfest weekend. ATHLETE CHECK-IN: Athlete Check-in will be held on the lawn behind Latitude 41 Restaurant. INCENTIVES: T-Shirts for all participants. Sharkfest Swim Medals for top three finishers in each age group (non-wetsuit and wetsuit). Personalized award plaques will also be mailed to the first place finishers in each age group, (non-wetsuit and wetsuit). 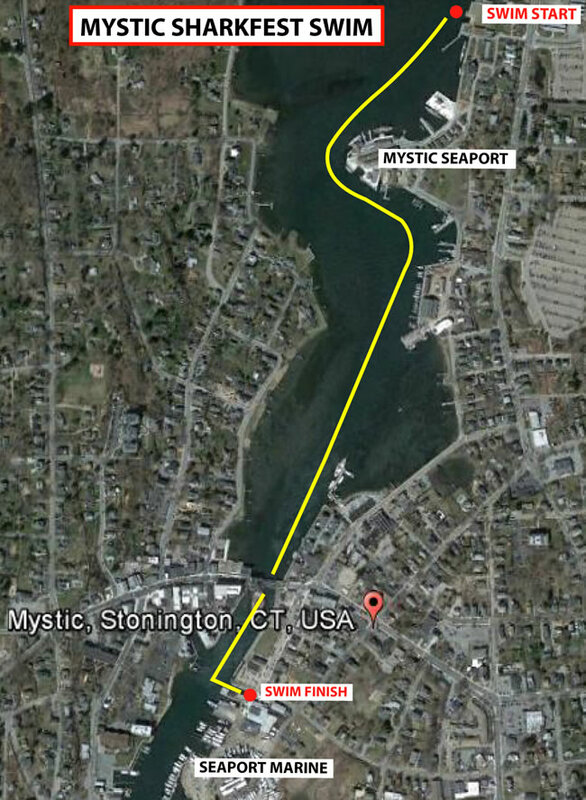 PARKING: Parking is available in the Mystic Seaport free public parking lot on Rossie Pentway across the street from Latitude 41 Restaurant. CANCELLATIONS: Registrations are non-refundable. If you can no longer participate in this event, you may receive a rollover credit (minus a $20 processing fee) toward a future event as long as you let us know by June 14 2019. After that date, a doctor's note is required to receive a credit.